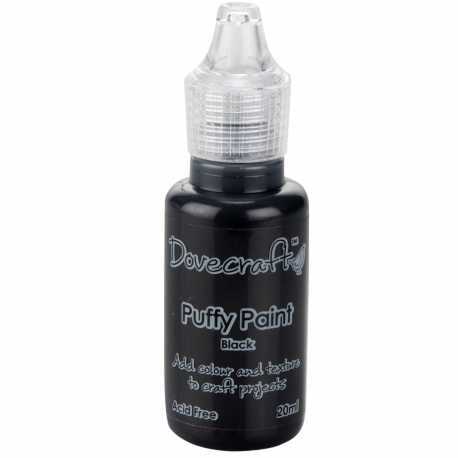 Get playful with your crafts using Dovecraft’s selection of Puffy Paints. Fantastic for creating bright and bubbly makes, simply apply heat and watch your design come to life! This collection is fantastic to use on paper, card, acetate, vellum, fabric and more. Get playful with your crafts using Dovecraft’s selection of Puffy Paints. Fantastic for creating bright and bubbly makes, simply apply heat and watch your design come to life! 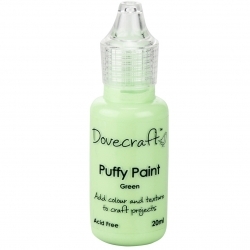 This collection is fantastic to use on paper, card, acetate, vellum, fabric and more.20ml.